As expected, a tornado watch has been issued for parts of Nebraska, Iowa and Missouri. 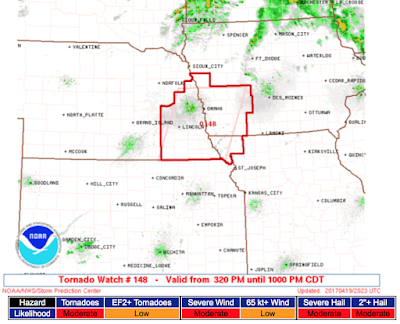 This watch includes Omaha, Lincoln, Council Bluffs and Tarkio until 10pm. I'll try to update again this evening.